Our Bringing Books to Life dance workshop is a perfect choice for book week, an author study or as a treat. Titles include Where the Wild Things Are, The Troll, The Very Hungry Caterpillar and The Butterfly Lion. An infant school class in costume on World Book Day. Workshops are designed for each of EYFS, KS1 and KS2. Once a year for one week only we offer a special treat to London schools - full days of dance workshops with our favourite workshops at a massively discounted price. Our choreographer will work with each class, developing responses to the books through language, movement and dance. 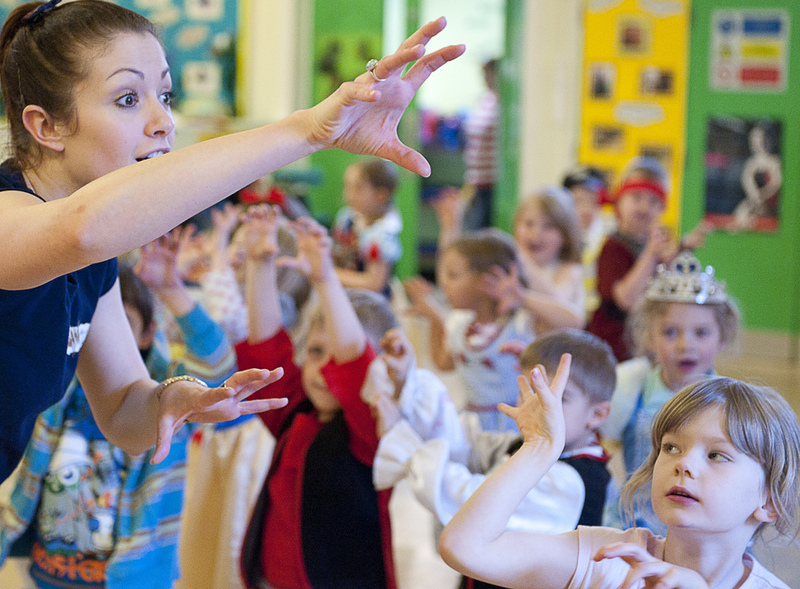 Schools can choose a mixture of workshops in the same day at no extra cost. The children will be inspired to use their imaginations as they explore the chosen book in a new and vibrant way. We use a range of techniques and music, and differentiate each session to suit the interests and age of the children. For Reception to KS2. We can also give a special 30 minute nursery class workshop based on this book. For Reception and KS1. We can also give a special 30 minute nursery class workshop based on this book. To get the best out of our visit children should be familiar with the books in advance. This is particularly the case with The Butterfly Lion. Download this booking form and return by email or fax to the details shown on the form. (All prices plus VAT, which the school reclaims).